A record 80.1m motor vehicles were produced in 2011 - are your fastener products positioned to participate in the growth? 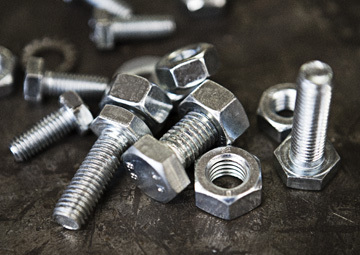 The fortunes of the fastener sector correlate directly with its largest single consumer, the automotive industry. Motor vehicle production growth in turn offers growth opportunities for fastener manufacturers. But where can those opportunities be found? Despite the economic downturn, global motor vehicle production surpassed 80m vehicles in 2011, an increase of 3% when compared to 2010. However, the headline global growth masks steep variations in both regional and national demand and output. At first glance, the latest motor vehicle production statistics for 2011 published by the International Organisation of Motor Vehicle Manufacturers (OICA – Organisation Internationale des Constructeurs d’Automobile) look encouraging. A record 80.1m motor vehicles were produced in 2011, an increase of 3% when compared to 2010. Considering that global production fell to 61.8m at the height of the global financial crisis, the recovery has been remarkable. But a detailed analysis of the production data reveals dramatic variations in output. European Union (EU) vehicle production reached 17.7m in 2011, but is still well short of its 2008 peak. The picture in the North Atlantic Free Trade Association (NAFTA) region is similar, reaching 13.5m in 2011, producing 2m fewer vehicles than in 2008. Japanese production shows a similar trend. In contrast, 2011 motor vehicle production in South America reached 4.3m, and OICA’s data confirms unbroken growth since 2003. Output in the non-EU European countries, including Russia and Turkey, overtook pre-crisis production to reach 3.4m in 2011. China experienced extremely high growth in 2009 and 2010 and continues to lead the production league table, producing 18.4m vehicles in 2011. India has experienced a similar recession-busting 10% surge in production. The global automotive fastener market is further complicated by highly variable fortunes of the different automotive original equipment manufacturers (OEM). Evidence from September 2012’s Paris motor show, Mondial de L’Automobile, suggests that OEM innovation and changing consumer preferences mean some vehicle brands are doing rather well at the expense of others. Premium and budget OEMs are winning market share from mid-market OEMs through a combination of price discounting and new models. And premium OEM brands are experiencing high demand from emerging markets, particularly the increasing middle-income consumer segments of China and India. What markets should fastener manufacturers target? The latest data from the Industrial Fasteners Institute and European Industrial Fastener Institute show automotive demand for fasteners by value at 25% of the total fastener market in the USA and 19% in Europe. Both regions showed increased vehicle production in 2011: 3.5% in Europe and 11.5% in the USA. But both regions remain below previous production highs. OICA’s 3% global production growth forecast for 2012 is unlikely to invigorate these mature markets, but Europe’s and the USA’s production is still more than twice that of South America, India and the non-EU European countries, including Russia and Turkey, combined. So, what options does this data present? High growth emerging markets versus volume mature markets? Targeting high growth premium and budget OEMs? Whichever marketing strategy fastener manufacturers choose, their proposition will only succeed if underpinned by innovative and high quality products conforming to the most stringent international quality standards. Contact us to find out how you can support your fastener proposition to the automotive sector with products that comply with DIN 25201.